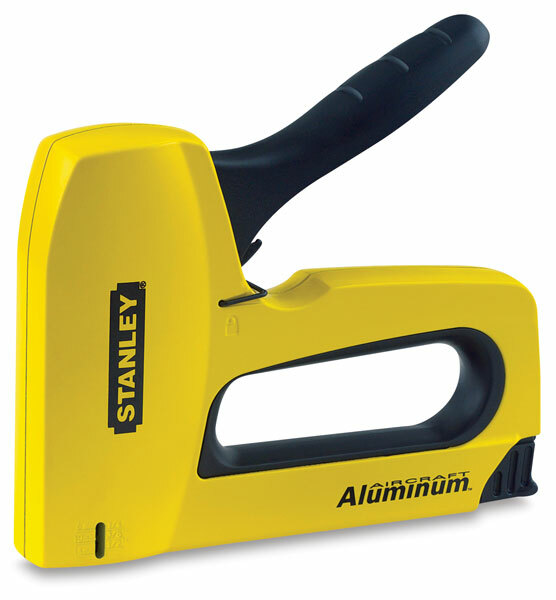 The Stanley TR150 Heavy-Duty SharpShooter Staple Gun delivers powerful performance in an easy to use package. The patented easy-squeeze design reduces stapling effort and hand fatigue, and Stanley's anti-jam technology eliminates frustrating staple jams, saving you precious time. Reloading staples is quick and simple thanks to the staple gun's easy bottom-load design. The SharpShooter Staple Gun is constructed with a durable aircraft-grade aluminum housing that withstands heavy, long-term use. Its highly visible bright yellow color makes the stapler conveniently hard to misplace.